I’ve officially recovered from Make It, recovered from the paperwork tornado that hit my office while getting my taxes finished (April 30th being the deadline for us Canadians) and am just about ready for Got Craft! 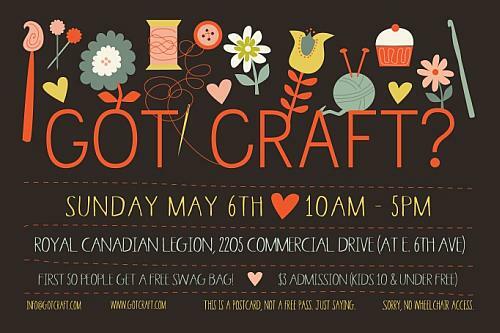 In the nick of time too, since the awesome sauce that is Got Craft is only 3 sleeps away – Sunday, May 6th. If you’ve never been before, my best recommendation is to come a bit later in the afternoon. 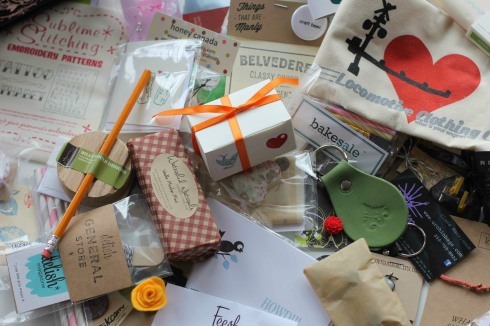 The die hard Got Craft fans will line up starting around 7am to snag one of the coveted swag bags. The first 50 people through the door get one & every year that line up gets a wee bit longer. So if you’re not an early bird, I heartily recommend going for brunch first and swinging by the show once it’s not quite so crazy packed. See you on Sunday, Vancouver! Previous postCagey Bee on TV!